Some things you just NEED to have in your Forever Closet. Ah, the age old question “what to wear?” Most women like to look good when they go out whether its for work or play. I’ve put together a list of must haves for your closet so you’ll always have something to mix and match. Go through your closet with this checklist and see where you’re at. Don’t rush to get all the items at once. If you don’t have them, just take your time accumulating. There are so many wonderful sales now that you can take advantage of. 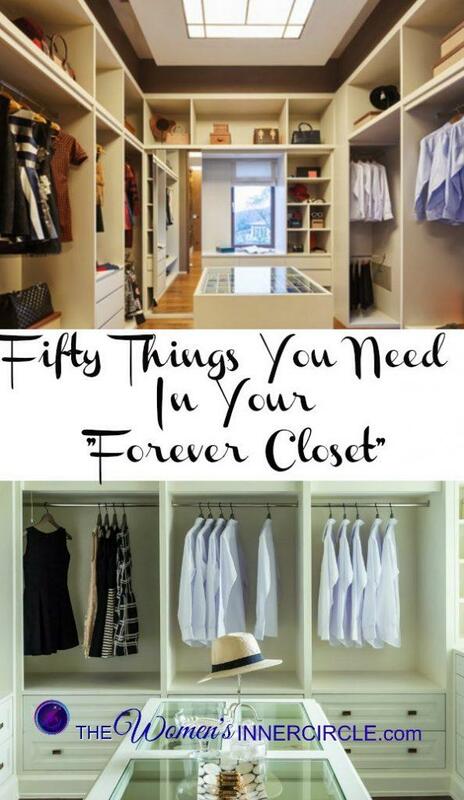 There are 50 + Key items to keep in your Forever Closet. We will start with #34 but stay tuned because at the end following #1 we’ll give you the rest of the list.